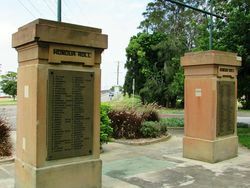 The park gates commemorate those from the district who served in World War One. 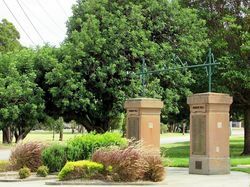 The gates were originally erected in Grahame Park and relocated to Connolly Park after World War Two. The iron gates have been removed. 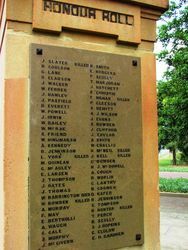 An Australia Remembers plaque to Brigadier Galleghan who served in World War Two is located on the gates. 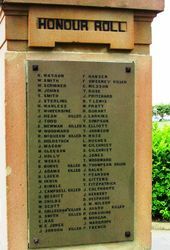 UNVEILING OF MEMORIAL GATES. 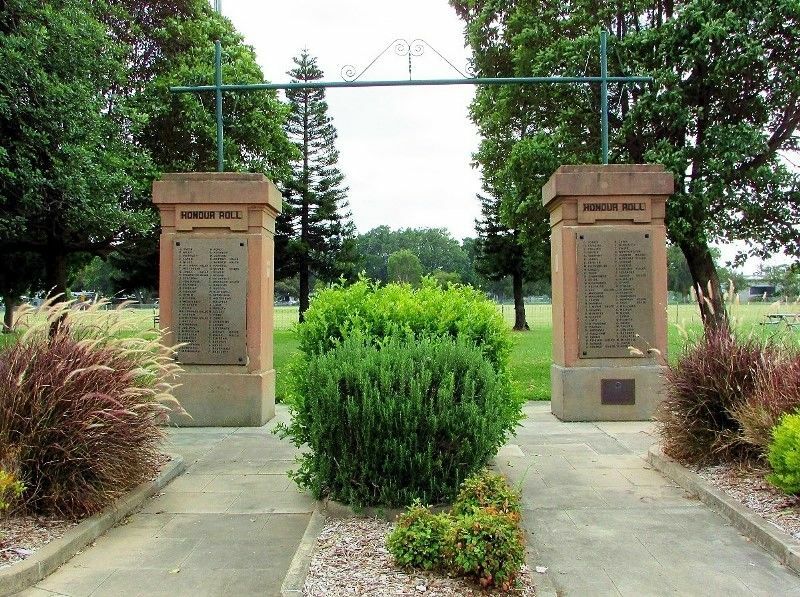 The unveiling of the roll of honour and memorial gates, erected at the entrance to Grahame Park, Carrington, took place on Saturday afternoon, in the presence of a large concourse of residents and visitors from all parts of the district. 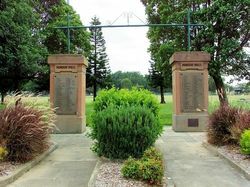 Military cadets of the 2nd Battalion, under Lieutenants Fields, Gallaghar, and Nehl, formed a guard of honour to the approaches of the gates. Members of the Naval Brigade were also represented. A combined public schools' band provided appropriate music. had fallen. 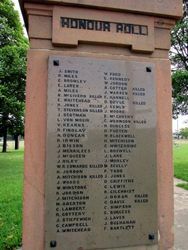 Major H. J. Connell, M.P., said that he felt honoured in being asked to unveil the memorial, which the people of Carrington had erected to the men who had responded to the call, and to those who had fallen, but it was the duty of each one to take such an interest in public affairs that such a war should never again occur. 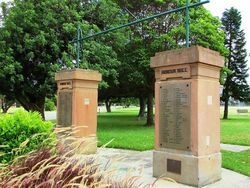 He hoped that the gates would long remain, and that they would always bring to remembrance their brave men who went away and never returned. 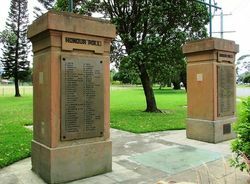 The massive pillars are of freestone, with appropriate iron gates, on the Robertson-street entrance to Grahame Park. 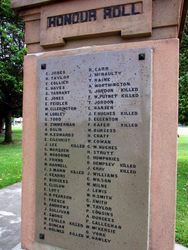 Four trachyte slabs are set in on the back and front, on which are cut 257 names of men who went to the front from Carrington, 40 of whom were killed in action, and one died before leaving Australia.